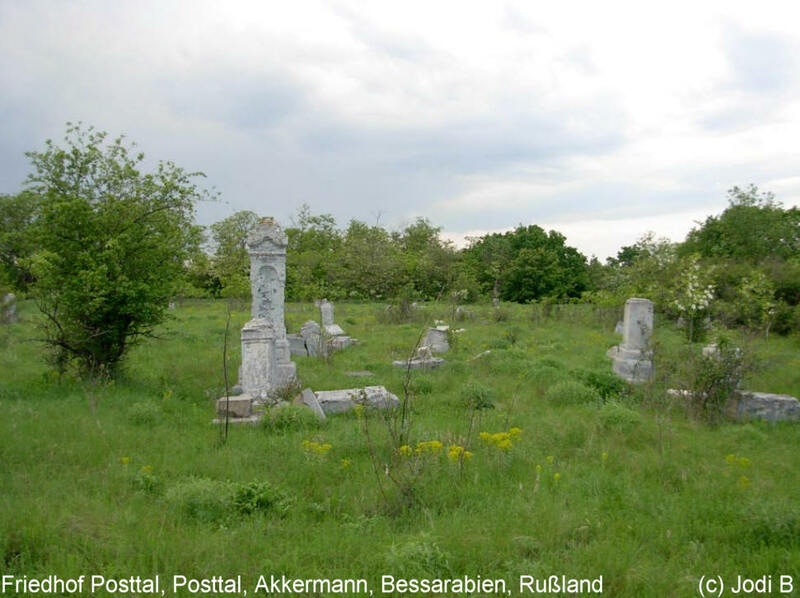 The ALT POSTTAL CEMETERY's location, when established in about 1823, was adjacent to the German settlement then known as Alt Posttal, Akkerman, Bessarabia, South Russia. In 2002 the ALT POSTTAL CEMETERY was in very poor condition. There were numerous German tombstones spread around the area and none of them seemed to be placed relative to the grave they identified.